This is a summary of a longer (8 page) review which you can read in full here. Dead Aid should have been an interesting and challenging book. Moyo is originally from Zambia, she has degrees from Harvard and Oxford, and she has worked at the World Bank and at Goldman Sachs. Disappointingly, while the book is about some important questions, it makes no useful contribution to the debate. Moyo’s arguments and her use of evidence are at best lazy, and at worst mendacious. There are three parts to Moyo’s case. She says that aid has demonstrably failed. Second, she says that aid has contributed to poverty. Third, she says that there are other, more effective ways of accelerating development. Moyo’s evidence that aid does not work amounts to no more than this: Africa’s growth has decreased while aid has increased. This is a strangely naive argument – it is like saying that because the US spends $2 trillion a year on health care, mainly on the sick and dying, and yet people still get sick, we can conclude that health care does not work. The evidence linking aid to growth is handicapped by the weakness of our statistical tests, but if anything it does seems to show that aid is correlated with growth. Many reasonable people believe that bad aid can be harmful. The conceptual arguments for this tend to be more persuasive than the evidence, but there is certainly a case to be made. Sadly, Moyo does not make it. She just asserts that aid causes corruption, bottlenecks, losses of competitiveness and erosion of accountability. This last concern, in particular, merits thorough consideration which it does not get here. Moyo does not support any of this with any evidence, and – more alarmingly – she misrepresents the academic literature to pretend that it supports her conclusions. Even if Moyo had succeeded in making the case that aid can be harmful, her story would require her to make two further arguments. First, she would have to show that the harm outweighs the good. Second, she would have to show that donors could not improve the way they give aid and so minimize the harm while retaining the good. Moyo skips both issues, jumping from her view that aid can do some harm to the conclusion that donors should declare that they will stop giving aid over the next five years. Moyo proposes other ways that developing countries can move forward, by raising money in capital markets, attracting foreign direct investment, reducing restrictions on trade and promoting financial services for the poor. It does not appear to worry Moyo – or perhaps it does not even occur to her – that the evidence for the impact on growth of foreign investment and improved financial services is no better than the evidence for the benefits of aid. As with aid, we can show that there are gains for the direct beneficiaries, but unlike aid, nobody has yet shown any correlation between these measures and overall growth and development. (By contrast, there is good evidence for the development benefits of trade.) Nonetheless, they seem reasonable enough policies – and they are already being widely pursued. What Moyo proposes is conventional wisdom in development economics. Moyo’s book does not make a convincing case for these approaches to be adopted as an alternative to aid, rather than working alongside it. Moyo has the front to accuse people working in the aid industry of promoting their own interests, and then – as an investment banker at Goldman Sachs – to advocate instead that the poorest countries should be encouraged to borrow more in private capital markets. There is a debate to be had about aid, but Moyo’s book, sadly, does not advance it. Dead Aid is poorly researched, badly argued, mendacious in its use of evidence, and pedestrian in its suggestions for alternatives. I tend to agree. On the surface the book and the concept of it had possibilities but she did not deliver. Thanks Owen, that’s an excellent review. I had one question: at the top of page 6 you write that tax revenues appear to be superficially positively correlated with ODA, do you have a reference for this? I’m slowly working my way through the various debates on ODA and am keen to see the numbers on this one. Bourguignon, François, Alan Gelb and Bruno Versailles (2005). “Policy, aid and performance in Africa: The G11 and other country groups.” Working Paper, World Bank, Washington, DC. McGillivray, Mark and Oliver Morrissey (2001) “A Review of Evidence on the Fiscal Effects of Aid”, Research Paper No. 01/13 (Nottingham: Center for Research in Economic Development and International Trade). Gupta, S., B. Clements, A. Pivovarsky, and E.R. Tiongson (2003). “Foreign Aid and Revenue Response: Does the Composition of Aid Matter?” IMF Working Paper WP/03/176. International Monetary Fund, Washington, D.C.
Here’s my interview with Ms. Moyo and one of her critics, a young African student attending college in Canada. Well put Owen. Esp. like the point you make that you’d have to show aid does more harm than good AND can’t be improved before concluding it should be stopped. Moyo is raising important issues, unfortunately that’s about it. Perhaps down the line we will at least give her credit for re-igniting the debate. I think the book actually does a great job of raising the profile of this debate (previously raised by Easterley and Bauer) through the simple fact of it being written by an African. The book’s not perfect but it’s clearly not the debate that the aid community wants to have. They’re happy with the “doubling dollar aid” mantra. Evidence-based aid will be a critical part of the future. You argue badly about corruption, slating Moyo and then saying “now it may well be true that some aid is lost to corruption…” – therein hangs a tale. Your overarching healthcare argument is a non-sequiteur. Period. Money does not reverse ageing and death. You jumped on the word ‘cursory’ without seeing the words “Even the most cursory”. This doesn’t mean she only looked at it this way. The simple fact is that her argument is a threat to the hegemony of the business-class travelling, landcruiser driving, ex-pat aid-skimming cultural uber-colonialists who believe they are saving Africa. This is not a criticism of their sincerity (although bounded rationality/integrity clearly applies). Other critics state that why not have both – aid and private sector growth, without recognising the crowding out both physically & psychologically. Aid is a subsidy for bad government! The mosquito net story is the one to read and think about. If true it is a complete and succinct metaphor for the failure of aid. I , a simple lay man asks the question. ”Why then, after years and years of aid, is Africa basically or moreorless the same, POOR??? I don’t think that the comparison with the US health care is valid because most of the money is spent on treatment of diseases, not on prevention, although in recent times there has been an emphasis on prevention. Therefore, to assess the effectiveness of health care spending, one has to look at the effectiveness of medical treatment. Moyo’s argument is still valid because she argues that aid (the solution) has not been effective in alleviating poverty and generating economic growth (the problems). She made a strong case of how aid (excluding humanitarian and emergency aid) has fuelled corruption in Africa and reduced the accountability (in terms of providing basic services such as education, health, infrastructure, etc) of African leaders to their citizenry. When aid attempts to fill the gaps in education, health, it makes it easier for African leaders to evade their responsibilities. Owen replies: Jey – I did not find anywhere in the book the “strong case” that you found that aid has fuelled corruption or that it has reduced the accountability of African leaders. She offered neither a theoretical argument nor empirical evidence for these assertions. I didn’t understand why you found the health care analogy unsatisfactory, either. Couldn’t have said it any better than you did. As an African, I totally agree with Moyo, and am amazed that it has taken so long for someone to stand up and say out loud what is so obvious. Owen’s review is typical of another problem we always see in Africa: An African, born and brought up in Africa, with deep ties with the continent, explains Africa’s problems – and Owen, an American, comes out and claims that she is wrong. I’m not sure if you’ve read my review of her book, Fara; but in it I say that there is a possible case to be made of the kind that Dambisa seems to want to advance, but that Dambisa Moyo doesn’t make it. She provides neither cogent argument nor evidence for her point of view. Your comment strikes me much the same way (especially as you, like her, don’t seem to be able to get simple facts straight – for example, I’m not an American, as a few seconds of research on this website would have revealed). So if you have arguments to advance for her point of view, I’ll be glad to hear them. But just saying you agree with her because you want to agree with her is not a very useful contribution to the debate. Dambisa’s most recent book, How the West Was Lost, gives us a good insight into the quality of her scholarship. I commend to you Alan Beattie’s review of it in the Financial Times. Owen, thank you for the review and you certainly raise critical issues Dr. Moyo left out in “Dead Aid.” I think that one of the problems with any discussion of economics is the ahistorical approach and lack of philosophical argumentation. First, Dead Aid lacks both in history and in philosophical sophistication for which a topic of this nature demands. What I find intriguing is that Niall Ferguson who wrote the preface seems to send out a cautionary note by stating, “The correlation is certainly suggestive, even if the causation may be debated” (pX). Dr. Moyo would have done well to show with hard evidence that aid is directly responsible for the things she claims by using statistical data and historical analysis. It seems this was not just an exercise in economics, but in philosophical argumentation as well. Second, Dr. Moyo does not engage her sources well. For example, the misrepresentation of Marx Weber’s thesis (page 31) is a good case in point. Third, I am concerned with the reluctance of some Africans to engage critically the book on grounds that it is a product of an African and therefore exposes Global North hegemonic practices. However, one can argue that free markets economics run amok is as much to blame for the failure of less industrialized countries and now the economic mess in North America/Western Europe as “Dead Aid.” Africans are mistaken to embrace the book just because the writer is African. Equally wrong is to dismiss non-Africans who are raising issues with Dr. Moyo’s presentations simply because they are non-African. Moreover, this is coming from an African, Zambian born who has had the privilege like Dr. Moyo to access American education at its highest levels. 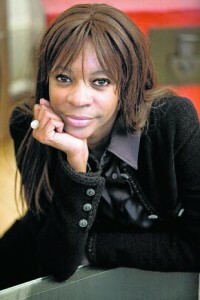 Pingback: Owen abroad » Is Dambisa Moyo shifting her position?